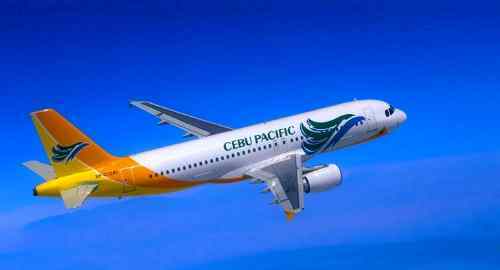 Budget carrier Cebu Pacific has today (Wednesday, August 16) announced new domestic and international routes. Cebu Pacific said it will start flying between Kalibo, the nearest airport to Boracay Island, and Clark International, which is also set to receive a new budget service to Singapore. The Kalibo-Clark service will begin on October 30 with flights on Mondays, Wednesdays and Fridays. The return Clark-Kalibo flights start on October 31 and fly on Tuesdays, Thursdays and Saturdays. Cebu Pacific subsidiary CebGo will start Cagayan de Oro-Caticlan and Cagayan de Oro-Dumaguete routes on October 20. CebGo will also launch its first international service out of Zamboanga with flights to Sandakan, Malaysia, starting on October 29 and running on Tuesdays, Thursdays, Saturdays and Sundays. “Sandakan has had centuries of trade and cultural linkage with the southern Philippines, and we are especially proud to put in place infrastructure to further enhance these ties,” CebGo president and CEO Alexander Lao said. “Now, the previous 14-hour travel by sea is cut down to just a 40-minute plane ride,” he added. Meanwhile, budget airline Jetstar Asia is launching a thrice-weekly Singapore service out of Clark International Airport in November. Jetstar Asia CEO Bara Pasupathi said this new route was the airline’s first services out of Clark. “Low fares travel in the region is booming, and these additional services give another option for direct services to the Metro Manila Area,” he said. “Throughout the year, we see constant demand for travel between Singapore and Luzon. Providing this low-fare option from Singapore means that the Filipino population in Singapore – and their family members – can now enjoy the option of affordable travel on Asia’s best budget carrier. Clark airport CEO Alexander Cauguiran said Jetstar Asia recognised the marketability of Clark airport and the increasing number of the airport’s local destinations. “This is great news and the Clark-Singapore flights will definitely boost our operations as we are looking at more travellers who may now choose Clark to fly Jetstar,” he said.